LaCarte Wellness – Goodbye MyPyramid, Hello MyPlate! Location: LaCarte Wellness » Goodbye MyPyramid, Hello MyPlate! Last week the USDA changed the nation’s food icon from the sometimes confusing, often misunderstood myPyramid to the new MyPlate. Now that the dust has settled and the excitement has worn off, it’s time to examine how useful this will be for consumers, healthcare professionals, and wellness programs. Several nutrition experts have written about the new tool on their blogs, and most have found the new MyPlate food icon as a simple, and easy to understand tool. Many nutrition professionals agree that the basic message of dedicating half of your plate to fruits and vegetables is realistic. However, some are up in arms over the small circle to the right of the plate that encourages people to consume dairy products, because it could be counted as a protein, as well as the fact that it can be offensive to vegans. 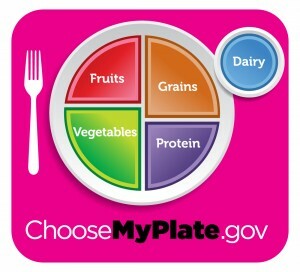 Even though not everyone agrees with the inclusion of dairy in the icon, it is still a good representation of what a balanced plate should look like. While this tool will not solve obesity, it is a step in the right direction. For many people the pyramid was too abstract and many people weren’t sure what to eat or how much. The plate model makes it much simpler for consumers to visualize and understand. Avoid oversized portions – consider your plate size! 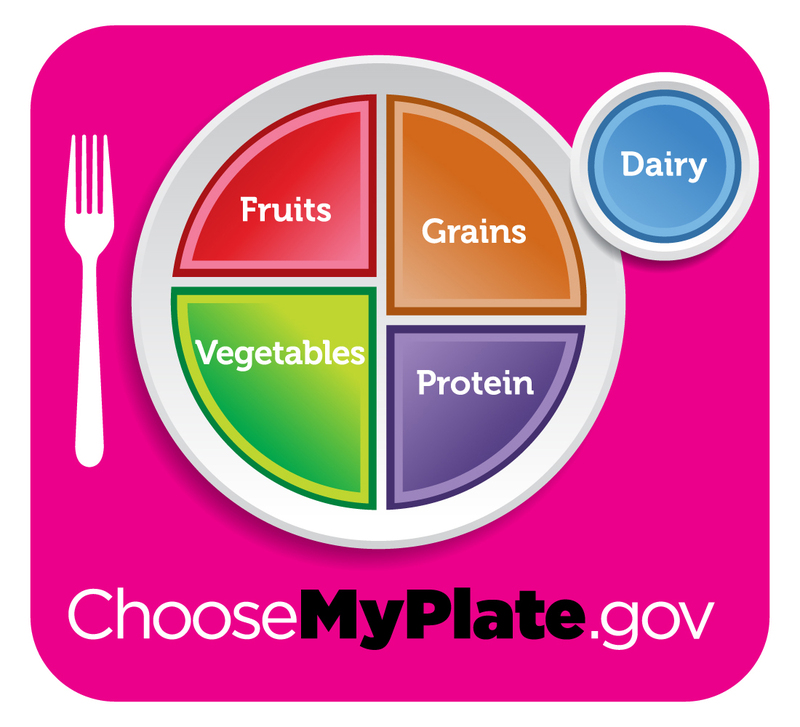 In addition to of the launch of the MyPlate food icon and selected messages, the website, www.choosemyplate.gov, has an array of resources to help professionals and consumers. Available resources include: sample menus, tips to help you achieve a balanced plate, a food tracker, and personalized daily food plans. Also available are audience specific materials for pregnant and breastfeeding women, preschoolers, children, and for those who are trying to lose weight.